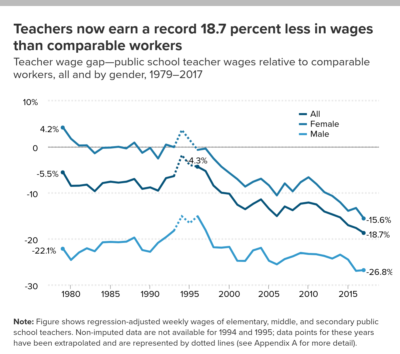 It’s not news to those of you in the teaching profession, but here are two new looks at empirical evidence that show teachers are earning less than they did in previous years and that the gap between teacher salaries and what comparable professions earn continues to grow. There’s a lot more to dig into with the study, but we’ll add one final disturbing stat: The wage penalty for texas teachers is 12th highest in the nation at a whopping 28.9 percent. As a wave of teacher strikes and protests swept several states last spring, researchers found that after adjusting for inflation, teacher salaries had fallen by an average of 4.6% compared with the school year that started in 2009, according to data from the Digest of Education Statistics. Some observers argued the drop wasn’t driven by school districts getting stingier, but by baby boomer teachers retiring and being replaced by younger millennials, who earn less earlier in their careers. The new report found that doesn’t pan out – the average teacher was actually three months older in 2016 than in 2007, before the recession. 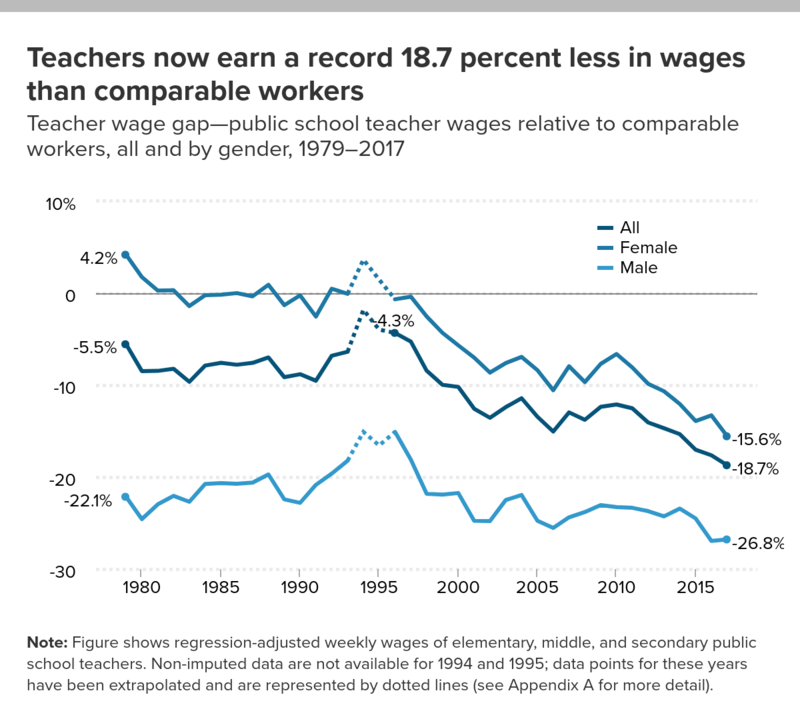 And teachers have racked up more advanced degrees that typically come with bigger paychecks–54% have master’s degrees, up from 49% before the recession. The share of teachers with a doctoral degree rose from 2.5% to 4.5%. The Guardian article is part of a series called The Guardian US Teacher Takeover, with teachers guest-editing the U.S. edition to highlight the crisis in American classrooms and rising teacher activism. Editors met with more than a dozen teachers at the AFT convention this summer to develop themes for the project. It includes original reporting as well as an opportunity for educators to contribute to an ongoing forum where they can describe what they need to help improve America’s schools. We encourage you follow the series, and we’ll be commenting on some of the stories in upcoming Hotlines as well.